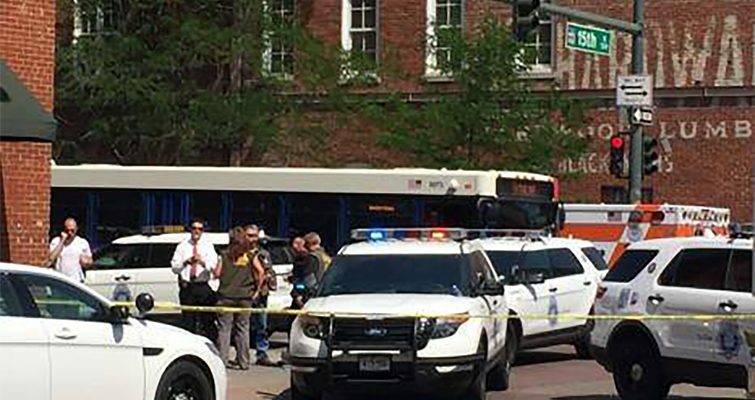 Five people have been shot in downtown Denver. four victims were rushed to Denver Health Medical Center and one was pronounced dead at the scene of the shooting. One person was killed and four others injured in a shooting Monday afternoon in downtown Denver. Denver Police spokesman Doug Schepman said, that no arrests had been made and police don’t know if there was more than one shooter. It’s too early in the investigation right now to be able to say exactly what happened here and why? Schepman said. Downtown is obviously a very populated area, and so to have multiple gunshots fired in an area like this is quite concerning Schepman said. Denver Health Medical Center spokesman Simon Crittle said, paramedics from the hospital responded to the shooting and found one person dead at the scene. Four victims were in stable condition on Monday night, police posted on Twitter. A witness Hisam Derani said to The Denver Post, I saw him holding a handgun in both hands approach the crowd and start shooting into a group of indigent people. Derani said, he was returning home from work when he heard about six gunshots. He said he saw one or two shots fired before he ducked.